If you haven’t thought abut enhancing your website with responsive design features by now, you’re at risk for losing some business in the future. How? The reason for the huge shift is due to the way people are browsing the Internet now days. A sub-optimal design/layout experience may occur for those who browse the Internet on a smaller-screen device. By 2016, browsing by mobile device is expected to exceed desktop use; making it ever important that your website will be easily viewable on the variety of screen-sizes. RWD’s beginnings go back to mid-2010, yet it is still fairly new to the majority of business website owners. Most simply defined, it is a website design using HTML5 features that automatically adjusts your website to fit on a desktop, and tablet, or smartphone. If you ever have browsed a website on a mobile device, and it loaded the desktop version then you understand it can often be difficult to navigate, zoom in and pan around. Users probably won’t be that impressed or may choose to keep surfing. Google has the incentive to give higher rankings to responsive websites, and they are implementing such factors in their ranking algorithms. ImageAs shown above, the webpage content has been adjusted and re-sized when necessary to fit into the confines the particular screen’s resolution. The methods of RWD utilize what is termed ‘media queries’ to sense the resolution of the device the webpage is being displayed on, to subsequently scale content and images on the screen. Years ago, web designers would develop a conventional desktop site, and secondly an entirely different mobile version to try to accommodate many of the many different mobile devices. Not every small business has a website; and perhaps there are some types of businesses that might not require a website, but the rule of thumb remains – if you have a business it is a good idea to have website to help potential customers learn about your business and also most easily look your business up. The internet certainly is the new ‘yellow pages’. We presume you haven’t made that mistake, lol. But beyond that… if your business does compete for attention on the web alongside other businesses, how well does your website ‘rank’ on search engines, and hold your viewer’s attention? 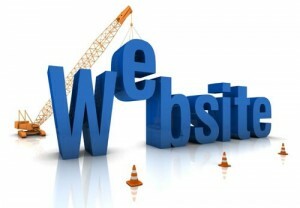 Simply speaking many small businesses have websites that are much less effective than others. Does your website have a clearly defined call to action? Let’s review your website. If you can, pretend that you are coming to your website for the very first time. Well, that is impossible, but the point is, a new visitor will be seeing your site for the very first time, so it is important to lead them along to what you would ultimately like them to do, which is to become your customer. Many small business websites are fine with letting visitors wander around rather aimlessly perhaps until they wander away and most likely never to return. About 1/3rd of websites are designed fairly well, and the rest could use some help in this regard. HTML5 & CSS3 can benefit your website and therefore your business. How? HTML is an acronym for Hyper Text Mark-up Language. The initial standard was developed in 1990 by the World Wide Web Consortium. 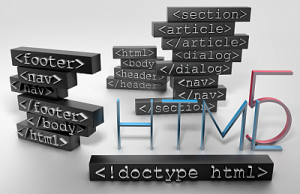 HTML 5 is the latest update of this specification used to build websites. Many people are still unaware of many of the benefits of HTML5, so here we will describe some of its top attributes and benefits. HTML is a form of high level programming language used for structuring and presenting content on the Web consistently, across web browsers. HTML5 has been designed to meet the increasing demands presented by today’s rich media and mobile display requirements. Likewise it makes cross-platform mobile application development possible along with new styling options available in CSS3 (Cascading Style Sheets version 3). As HTML5/CSS3 it operates entirely within a web browser, as HTML5 does, it is not dependent on the underlying operating system, which frees applications from the significant development/support overhead to otherwise make it all compatible with Android, iOS, Blackberry, etc. HTML5 is already supported in the latest web browser versions on PCs and tablets; of which about a billion new compatible phone devices are being produced each year. It is quite important not to ignore the importance of HTML5 when considering your mobile site. CSS stands for ‘Cascading Style Sheets’. It is the language of format and design of web pages. It provides website designers the power to site documents that are styled. CSS is compatible with all popular web browsers regardless of device and operating system. It separates the structure of a web page from the details of how elements are displayed. CSS can also be used to tailor a web page specific to a particular screen resolution or device/screen-size. In short, CSS is the language used for implementing front-end web design. Being mobile friendly is the current ‘big thing’ going on in terms of search engine ranking for websites. If you are not just doing simple updates to your website, but rather replacing large portions of it in full, there are considerations to keep in mind. Maybe you are just handing your site redevelopment to a third party? So the following are some tips and guidelines to follow in order to keep your site safe from new Google penalties and to get your site maximum visibility in Google. Unfortunately, we all have to become Google conformists. Our society, our global culture as a whole, unfortunately believes in continuous centralization of power. Resistance is apparently futile. The first step is understanding where everything is placed on your website. If you have implemented SEO methodology in the past, then most likely at least a few pages rank well SERPs, and you don’t want to lose those gains when your website structure changes. As you probably are already aware of social media (ie. twitter, facebook, etc. ) 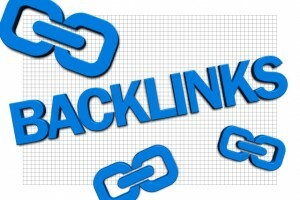 is an extremely valuable tool for promoting your website content. You have probably seen this in action already in many places on the internet. If you haven’t done so already, in this blog we are going to show you how to easily set up social media sharing buttons and tools on your website. By doing so you will be extending your website’s visibility and leveraging what is known as “inbound marketing”, or increasing your visibility from the inside-out (free) rather than the outside-in (paid). You already have great content on your site, so you want to leverage that fact. The following social media buttons/tools will help you fully enable that.